Storage containers are being used in Austin by a paint supplier. The supplier provides their best customers with storage containers and fills them with supplies. By using a storage container the supplier saves time and money on deliveries and the customers are ensured that they won't run out of product. We recently supplied a local hospital with cool box storage containers so they could store heat sensitive electronics during a renovation. A local retailer retailer recently purchased a couple of storage containers to store supplies at their facilities management location. 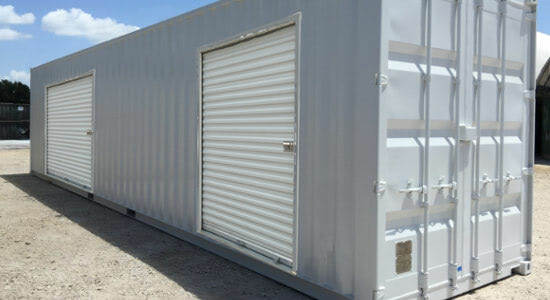 Several local construction companies in Austin and San Antonio use storage containers to stage materials and store tools on-site during construction and renovation projects. These are just a few ways I see companies using storage containers every day. we’re here to help. Contact Falcon Structures at 877-704-0177 to speak with a knowledgeable sales representative today.